Walking around the Garden, you may see lots of holes being dug and bulbs being planted for a colorful display in the spring. But one place you may not expect to see this is the Green Roof Garden at the Daniel F. and Ada L. Rice Plant Conservation Science Center. Green roofs are known for having lots of sedum and other drought-tolerant plants, but rarely do you see bulbs. We decided to give it a try several years ago and found that it works! So every year we plant thousands of bulbs on the north roof and hope for a showy spring display. 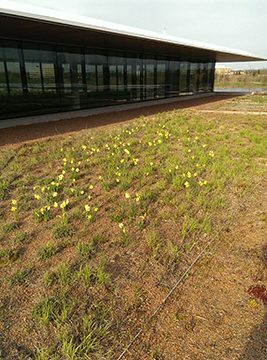 Daffodils sprinkle the Green Roof Garden in early spring. Planting these bulbs is not as easy as just throwing them in a hole and walking away; there are a few factors to take into consideration. One major factor is soil depth. There are three different categories of green roofs: extensive, semi-intensive, and intensive, with a different growing medium depth for each. An extensive green roof has a depth of 6 inches or less, semi-intensive needs 25 percent of the green roof area above or below 6 inches, and intensive has a depth of more than 6 inches. The Plant Science Center’s Green Roof Garden is semi-intensive, with depths of 4 inches, 6 inches, and 8 inches. When planting bulbs, the rule of thumb is to plant them two to three times deeper than the size of the actual bulb. 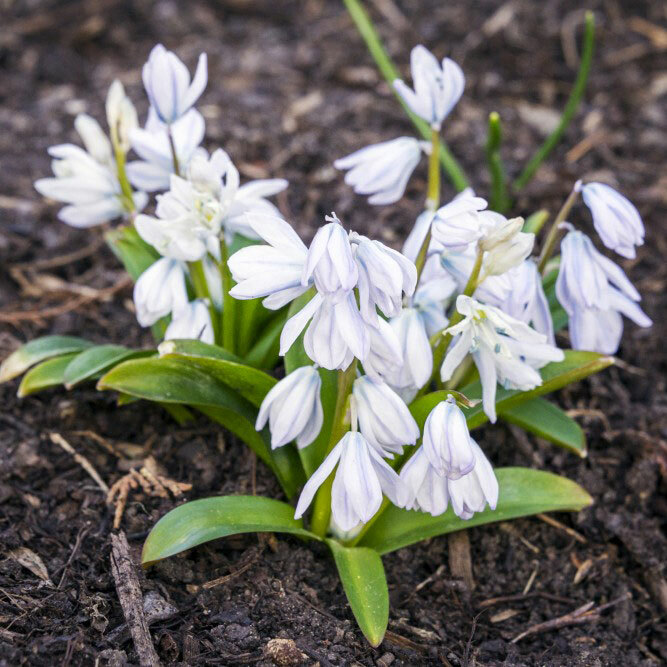 This means larger bulbs like daffodils or tulips will be planted about 6 inches deep while smaller bulbs like scilla or crocus will be planted 2 to 3 inches deep. Miniature daffodils like Narcissus ‘Little Gem’ are a great pick for green roof gardens. 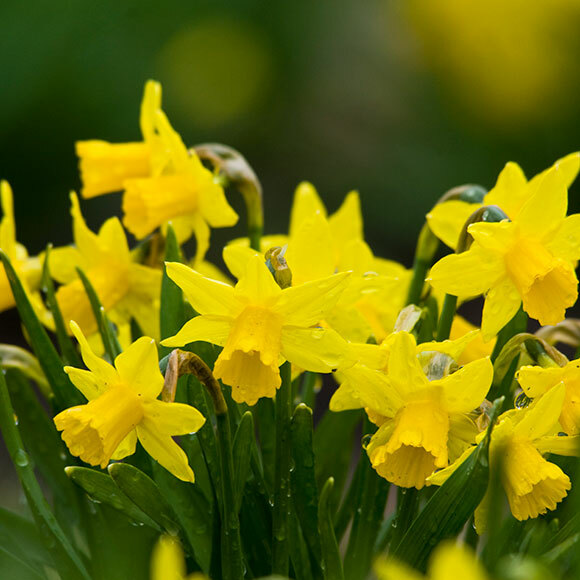 Find some great mini daffodil cultivars in our Smart Gardener articles. Tiny squill (Scilla) work well in shallow planting depths. 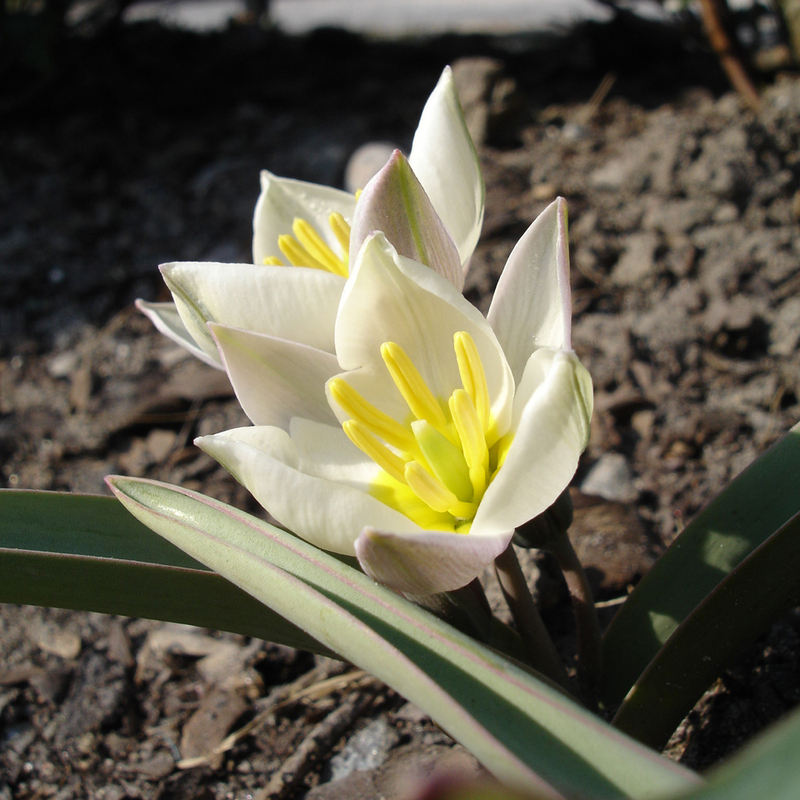 Turkestan tulip (Tulipa turkestanica) is a small species tulip that is a stunning addition to any spring bulb display. Tiny species tulips nestle between sedums in the shallow beds in the Green Roof Garden. So when deciding which bulbs we would like to see in the spring display, we must take into account how large the bulb is, and where in the Garden it can be planted. Luckily, we are able to plant bulbs in all three depths (with 4 inches being the shallowest). 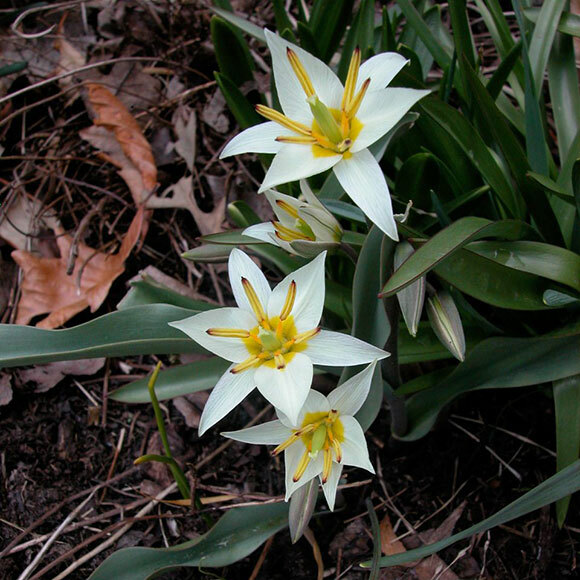 In the 4-inch display there are crocus and smaller species tulips; in the 6-inch area you will see daffodils, Siberian squill, and more tulips, and in the 8-inch area we have planted more daffodils and larger tulips. When designing where each bulb will go, we also chose how many of each we need to plant. Further back in the 8-inch area, we order larger numbers of each bulb in order to create a large sweep of color that you can see from the viewing deck. Up front in the 4-inch area, we plant several little groupings of bulbs with much smaller blooms, creating a display with a range of color. So this spring, when you are strolling through the Garden admiring all the gorgeous bulbs in bloom, just remember: not all of them are on the ground. 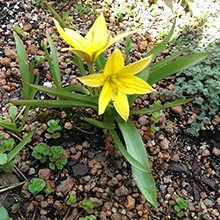 Make sure to come visit the Green Roof Garden at the Plant Science Center and see which bulbs decided to pop up and put on a show for us. I had never heard of this. Very cool way to bring some color to a green roof. I’m fascinated by this article! Do squirrels get to your bulbs though? I have some very aggressive squirrels that visit my intensive green roof. Do you use bulb cages?